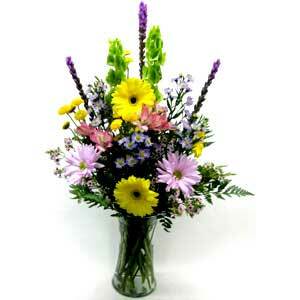 Purple and mauve flowers are arranged with bright yellow flowers in a vase. Approx. 27"H x 18"W.